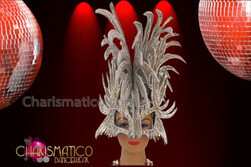 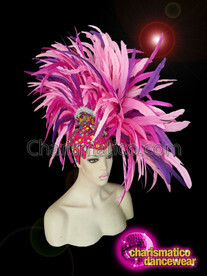 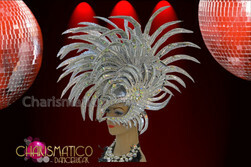 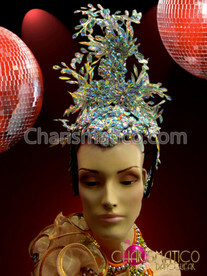 A stunning head dress designed like a face mask with extra designs added on top. 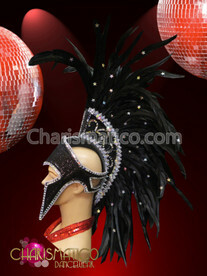 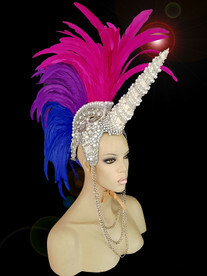 The gorgeous blend of shiny blue and purple sequins is extremely attractive. 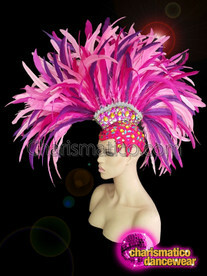 A must-have for a dancer because this accessory is a show stealer.